This past month, several friends have been taking part in the month of gratitude by posting each day what they are most thankful for on social media. I have participated and listed things ranging from the people that I am most grateful for all the way to something as simple as a hot cup of coffee. Today, I want to give thanks for what I often take for granted, my Lord. He is Jehovah-Jireh, the Lord who provides. When I look back over my life, there are many times when I should have hit bottom. There have been countless times where finances weren’t just low, they were nonexistent, and God would send us a blessing by way of a brother or sister in Christ, a break from one of our debtors or an unexpected job opportunity. As I sit here today, we may not have all we want, but God has provided us with all we need and for that I give him thanks. He is Jehovah-Rapha, the Lord who heals. Immediately my thoughts take me back to this time last year when Peyton was in excruciating, unexplainable pain. I have never cried out to God like I did during those weeks, and He came through. Just last night, both my little girls were restless because of irritating coughs that kept them from laying down peacefully. I started to jump up and grab the cough medicine and changed my mind. Instead I prayed and asked God to touch my girls, to take away the cough and bring them comfort that only the Great Physician can bring…and off to sleep they went without another sound. His healing may not come in the ways we would like or in the timing we would prefer, but it is available to those who call on his name. He is Abba, Father. As a parent, I know the lengths that I would go to for my children. As a Christian, I know that it still pales in comparison to what God has done and will do for me. He is not some distant, uncaring God. He is near to us and loves us with an unfailing love that is difficult to comprehend. In a world where love is often hinged on meeting expectations of another, God’s love is unconditional. When I am at my most unlovable, He still opens his arms wide and invites me to run into them. So today, I give thanks to the one who is at times overlooked for all his goodness. I will praise the name of the Lord, for He alone is worthy of my praise. Ever have one of those days where all you want to do is cry? You may be crying for a very specific reason or, like I sometimes do, for reasons that you can’t quite explain. Welcome to my Tuesday, and if I’m to be completely honest, it’s how I spent Sunday and Monday too. I haven’t been able to get a grip, and do you want to know why? How the world makes me feel. What has me feeling guilty? My kids Christmas list. More specifically, my boys list. Like most boys their age, every request they have made is a pricey one. They are no longer content with legos, nerf guns & balls of various sizes. Now the list consists of a laptop, cell phones & a huge trampoline for the yard. 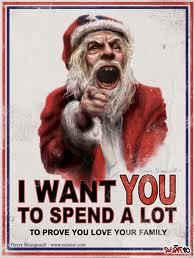 It’s not that our kids are ungrateful for what we give them, it’s more about their hobbies and interests changing drastically that causes the rise in price of gifts. Naturally we can’t buy all of these things so they will have to settle for the items at the bottom of their list. And they will be content with that. Christmas morning they will give us a sweet, understanding smile and express gratitude for what they have…and that makes me cry even more! Here is the problem, I have let my guilt of not being able to give extravagant gifts steal my joy. This time of year is my absolute favorite. I look forward to Thanksgiving more than any other holiday. But this year I’ve lost sight of what the holiday is about because I’ve been so consumed by the very opposite. I have gotten sucked into the trap of materialism and the commercialization of the holidays. So I decided to sit and list all the reasons I have to be thankful…and it’s too long to share. Next up, I decided to list all that we can and do give our kids and weighed it against what we cannot provide. And you know which list was longer? Of course you do. Does all of this stop the flow of tears? Not yet, but it will. I can’t help but desire to give my family more. I do suffer with guilt because I don’t add to our family income. I can hear the words of my sweet friends who reassure me that I am giving my family something of greater value by just being a wife & mommy, but still I struggle. I share these very personal feelings with you all because I know I am not the only one who battles these emotions, especially this time of year. Are you the parent who wants to spoil their kids just this once? Or maybe it’s your spouse that you long to lavish with the beautiful jewelry she deserves for all the love she pours out year round. Perhaps your parents are the ones you wish to repay for all the years that they have given selflessly to you and you’d love to surprise them for a change. It could be that all of the above apply to you and then some. May I ask that we pray for one another today? Can we take a moment to call on the Lord on behalf of others who are in the same position? Lord, I ask that you be with me and those like me today who are struggling with feelings of inadequacy due to what we are unable to give. 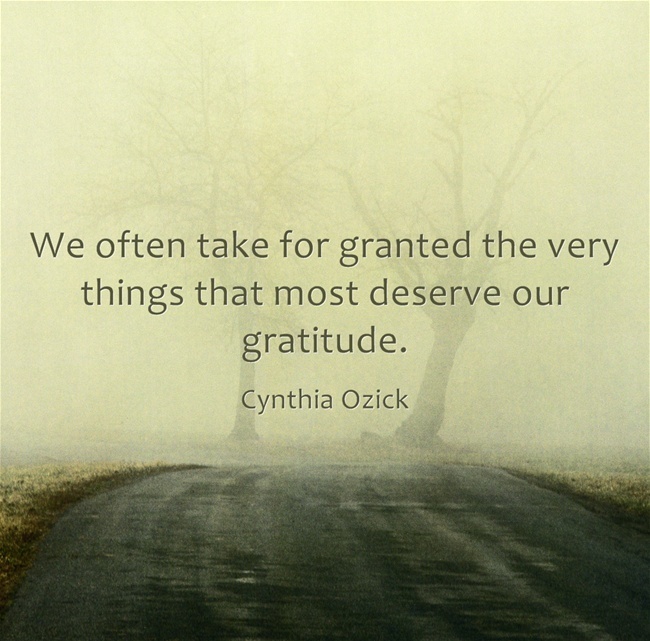 Shift our focus to all that we have to be thankful for. Show us ways in which we can express to our loved ones just how much they mean to us without feeling guilt over lack of material things. Remind us, Lord, what these upcoming holidays are about: gratitude, family and most importantly, You. Let us not be so consumed with what the world pushes us towards that we miss what you are calling us to. And when the overwhelming emotions come, comfort us as only you can by speaking straight to our hearts.